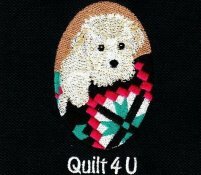 Located in Columbia, MO, Quilt 4U offers an extensive selection of fabrics, pre-cuts, notions, books, patterns, and other quilting supplies, to meet a variety of creative needs. Our store features a welcoming and supportive environment where we host a wide range of fun, hands-on classes for quilters of all ages and skill levels. We also provide professional long-arm services to help quilters finish their projects. We're always updating our website with the latest products the industry has to offer, so check back often to see what's new! Please drop by and see us at 908 Rain Forest Parkway, in Columbia, MO. Just take I-70 from St. Louis or K.C. take the "Rangeline/763" exit #127 and turn north. At the 4th stoplight (Rain Forest Parkway), you will see Quilt 4 U located to your left. Turn left on RainForest and we are located in the middle building with the green roof.